I couldn't have been more excited when I received a copy of Tamar Ansh's new cookbook from Targum Press. They were kind enough to ship me Pesach - Anything's Possible: Over 450 Non-Gebrochts, Gluten-Free & Wheat Free Recipes because they know this blog focuses on cuisine that is both kosher and gluten-free. This big, thick, hardcover book is the first widely distributed cookbook that I've seen that has advertised itself directly to the gluten-free community as well as to any Jewish cook looking for Passover fare. Unlike much Passover cooking, all of the recipes are gluten-free and non-gebrokts, meaning the book does not include recipes such as matzo balls or matzo meal cakes which involve exposing matzo to water. Some Ashkenazi Jews, mostly Hasidim, observe a tradition of only eating dry matzo during Pesach so their other Pesach food is all gluten-free. 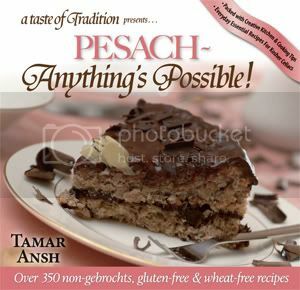 Pesach - Anything's Possible is a kosher gluten-free cookbook full of beautiful, glossy full-color photographs. One of my pet peeves is cookbooks without photographs - And this cookbook does not disappoint in that department! It even has step-by-step instructional photos for some of the recipes. I don't like reviewing cookbooks without trying a recipe. I never give positive reviews to books or products unless I feel like they deserve it. So I chose a recipe to make for last shabbos: Banana Nut Cake. Those who tried the cake could not believe what they were tasting - It was perfectly moist, even the next day. It was golden brown on top, with no burned spots. It had a tender, fine crumb. It wasn't crumbly, but instead held together quite well. It had just the right amount of sweetness, just the right amount of banana flavor, and the perfect amount of nuttiness. 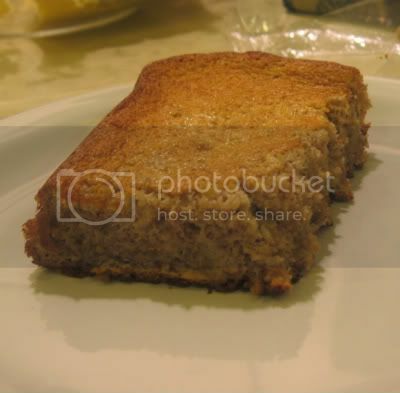 It had a consistency more like a rich, moist, fluffy cake than the wetter, more dense traditional banana bread. I am not exaggerating when I say this was one of the best gluten-free cakes I have ever eaten! Not the best Passover cake, or the best pareve cake, or the best banana bread... But one of the best cakes, period. If you make this for friends or family they won't believe it's gluten-free, let alone a pareve Pesach cake. Pareve (dairy-free) Pesach cakes are notorious for being dry. This cake puts them all to shame. Other recipes in the book include Orange Sponge Cake, "Breaded" Cutlets, Chicken Blintzes, Chocolate Crinkle Cookies, Mexican Pepper Bake, Creamsicle Roll, Best Gefilte Fish Ever, Crepes, Butternut Squash Kugel, Sweet Potato Puffs, Shepherd's Pie, Zucchini Cheese Potato Latkes, Kneidlach, Lukshen (noodles) and more... 350 recipes in total. Targum Press has been kind enough to give me permission to post the fabulous Banana Cake recipe here on my blog, so that my readers can enjoy this recipe for Passover ... or any time. To order the cookbook click here. Posted with permission from Targum Press. Beat the egg whites until they are stiff. In a bowl, beat the yolks together with the sugar, bananas, nuts and potato starch. Carefully fold the egg whites into the yolk mixture until it is well blended. Pour the batter into a greased tube pan***. Bake for 35-40 minutes, until the edges start to spring away slightly from the side of the pan. Remove the cake from the oven and let it cook completely. Remove the cake from the pan. If it seems moist to you, let it sit uncovered for an hour or so before you wrap it up. *I used 4 ripe bananas that had been frozen in their skins. I defrosted them and then they slid right out of their skins, already soft enough to blended in with the batter. ***I recommend using a silicone pan if you have one. 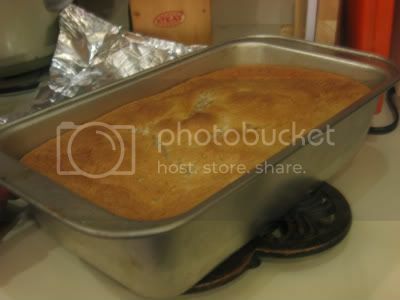 I didn't have a tube pan so I used an 8x8 silicone brownie pan and a standard-sized tin bread ban. if they had been celiacs." I've been getting so many e-mails about ordering gluten-free matzo that I realized it was high time I make a post about how to get your hands on some gluten-free matzo for Pesach (Passover) 2009. Keep in mind that for matzo to be considered matzo by halacha (Jewish law) it needs to be made of one of the five grains. The only one of those grains that is (or can be) gluten-free is oats. Historically oats have been unsafe for celiacs due to being cross-contaminated with wheat. Fortunately, today we have certified gluten-free oats, which are grown and processed separately from wheat to eliminate cross-contamination, and then tested by food allergy testing labs to confirm their gluten-free status. So a truly gluten-free oat matzo is now possible. That said, there are some people with celiac disease who simply cannot digest oats, even gluten-free ones. If you are one of those people who has celiac disease and cannot digest oats I strongly suggest you speak with a competent rabbi. In fact, if you're an observant Jew it wouldn't hurt to consult with a rabbi regardless... Since I hear that there are some rabbis who don't accept oat matzo for celiacs. But for the rest of us, there's a great (if very pricy) option out there. Starting last year, there are actually two sources for gluten-free matzo, not just one! I posted last year about Lakewood Matzoh Bakery which had begun making certified gluten-free oat matzo for the first time. They were kind enough to send me some of this year's batch to sample. It's true that it tastes nothing like the matzo I grew up eating and I'll personally never be a big fan of the burnt taste of shmura matzo (regardless of its gluten status). However, I'm excited because Lakewood Matzoh Bakery's matzo is quite improved from last year, due to being rolled out more thinly. This will make it more enjoyable for a lot of people, myself included. I also like supporting local-ish businesses when I can. In addition, Lakewood's price is significantly lower than the price offered by Kosher.com and other vendors for the imported UK brand Gluten-Free Oat Matzo. That makes Lakewood the winner in my home. The one item that the other company, Gluten-Free Oat Matzos, sells that Lakewood doesn't is gluten-free matzo meal. It's ridiculously expensive but makes killer matzo balls using my dad's recipe! When I bought it a few years ago I called the matzo balls I made "million-dollar matzo balls" because I figured out they cost a couple of bucks a peace. 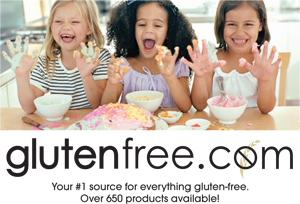 A link to buying gluten-free matzo meal can be found below. Did I mention that oat matzo is totally delicious turned into matzo pizza? Just spread tomato sauce and mozzarella on it and bake until the cheese is melted and edges of the matzo are crisp. Mmm... just call it "Bread of Oppression Pizza." 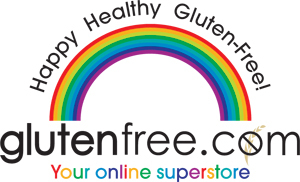 Here are links for ordering gluten-free matzo online or finding out where it's retailed locally near you. It's popping up in more and more local kosher groceries these days, but many places find they are sold out quickly so be sure to inquire about it at your local grocery now. Gluten-free oat matzo made in Lakewood, NJ. Shmura (handmade). $23 a box. Shipping available. Order online at the link above or inquire about where it's sold near you. I've seen it at shops in the NY/NJ area. Gluten-free oat matzo made in the UK. To buy online, go to Kosher.com. They offer machine-made matzo at $39.95 a box, handmade matzo for $39.95 a box and gluten-free matzo meal for $19.99 per box. Find out where to buy it locally here. (Available internationally). As usual, I am posting a holiday roundup just a day or two before the holiday. Oy, I am such a procrastinator. Hopefully this will still come in handy for some of you. I notice I'm getting a huge number of hits for "gluten-free hamentaschen" / hamentashen, hamantashen, etc. So I thought I'd make it easier for you to find my Purim-related postings as well as some postings by some other blogs. My recipe for Gluten-Free Hamantaschen made with no-refined sugar. I love this recipe and am sad I haven't had the chance to make it this year. I've gotten very good feedback on this recipe - If you try it please let me know how it works for you! Elana's Pantry has a vegan, refined-sugar-free, grain-free recipe for Gluten-Free Raspberry Hamantaschen that you might be interested in if you have multiple food restrictions. 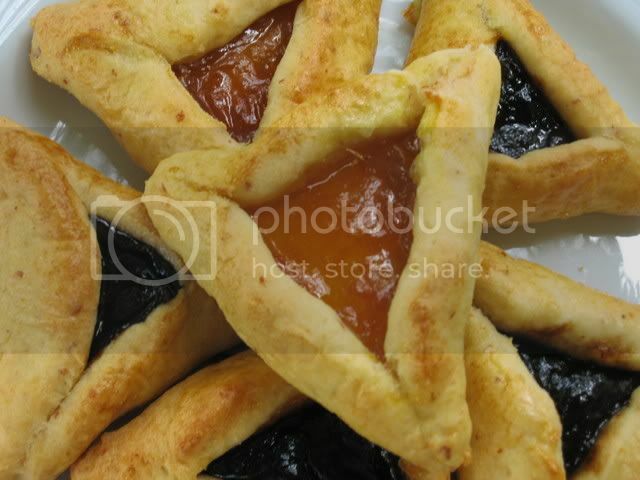 Or maybe you'd like to try an Adaptation of a Chabad Recipe for Gluten-Free Hamantaschen. About.com also offers a recipe. My list of ideas for creative gluten-free mishloach manos can be found here. Think outside the box! Consider joining the AllergicJews listserv, on which other Jewish (kosher and non-kosher) folks with food restrictions share recipes, ideas and resources.